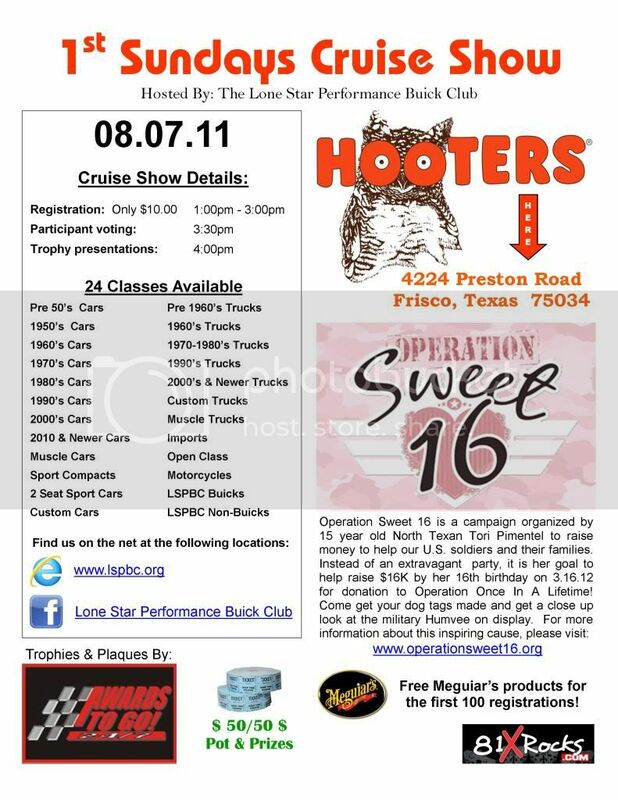 Our next car show event set for 08.07.11 is just around the corner. We will have some very special guests representing "Operation Sweet 16" and "Operation Once in a Lifetime". They will be bringing a military dog tag machine and Humvee for display. You will be able to have tags made for yourself and/or in honor of someone else. These outstanding organizations are working together to lend a helping hand to our soldiers in need. So before you head on out thinking about how hot it is right now, think also about how hot it is for our men and women serving our country every day in the middle east! Please tell all your friends about this show so that we may give them a strong show of support. A BIT too far for me to drive - hope it's a great event! Frisco is a bit of a drive from New Orleans. Sounds like fun!